Amanat Holdings, the GCC’s largest healthcare and education investment company, has recorded a net profit of Dh24.3 million ($6.6 million) for the first nine months of 2018. This includes the full consolidation of the recent majority stakes acquired in two high-quality assets, 100 per cent of Middlesex University Dubai and a 69.36 per cent holding in Royal Hospital for Women in Bahrain, in line with Amanat’s strategy. Middlesex University Dubai is a profitable and flourishing business generating in excess of Dh130 million in revenue and a profit margin of 25 per cent a year. Given revenue recognition policy, the summer season that falls in the third quarter is typically slow and typically unwinds during the fourth quarter, as such revenues will return to normalized levels in the fall academic semester which coincides with Q4 2018. This has resulted in Amanat consolidating the Middlesex Dubai losses in its Q3 2018 financials as a one-off. As for the Royal Hospital for Women in Bahrain it is expected to commence operation during early 2019. Once it starts operations, Amanat is confident that the business will become a world-class specialized hospital and will build industry-leading returns. Income from existing associates grew strongly to Dh37.1 million, a remarkable increase of 58 per cent compared to the first nine months of 2017. Shareholder equity stood at Dh2.53 billion as at 30 September 2018 demonstrating the early positive impact of the accelerated capital deployment over the past year. Furthermore, Amanat’s corporate expenses remained stable year-on-year, despite the considerable growth in the business and deployment. “With majority stakes acquired in two exceptional education and healthcare assets during the quarter, we have now achieved capital deployment of 79 per cent of the total 2.5 billion paid-up capital, representing significant progress in its strategy to acquire leading assets and work alongside their leadership teams to create long-term sustainable value. 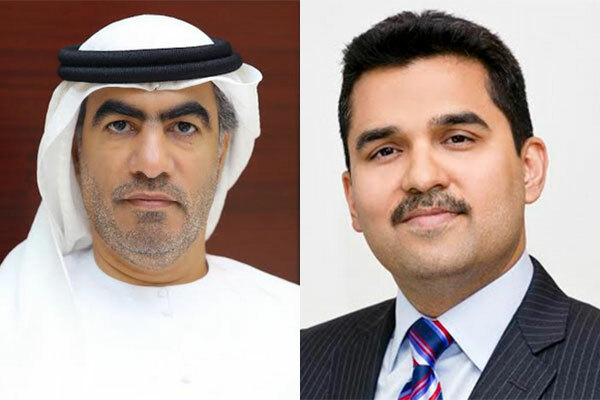 “In total, Amanat has now invested Dh2 billion, across three education assets, three healthcare assets and one social infrastructure asset representing 46 per cent, 35 per cent and 19 per cent respectively of its total invested capital. We are excited about the strong prospects for all of our investments and confident that we are well positioned to deliver on our strategy and generate sustainable value for our shareholders,” he added. Dr Shamsheer Vayalil, vice chairman and managing director of Amanat, added: “We have continued to make excellent progress in Q3, accelerating our deployment whilst continuing to identify assets which offer great opportunities to create value for our shareholders. Both Middlesex University Dubai and the Royal Hospital for Bahrain represent just such acquisitions.